Lionel Martin, one of Aston Martin’s founders believed an Aston Martin sports car must be “a quality car of good performance and appearance, for the discerning owner driver with fast touring in mind, designed, developed, engineered and built as an individual”. Over a century later the marque still build cars that stay true to his vision. The origins of Aston Martin date back to 1913, when Lionel Martin, and Robert Bamford set up a car sales and servicing company in London. Lionel Martin was a motor racing enthusiast and often entered hill climbs at Aston Hill. The first car to be named Aston-Martin, nick-named Coal Scuttle, was built in 1914 specifically for the Aston hill climb. 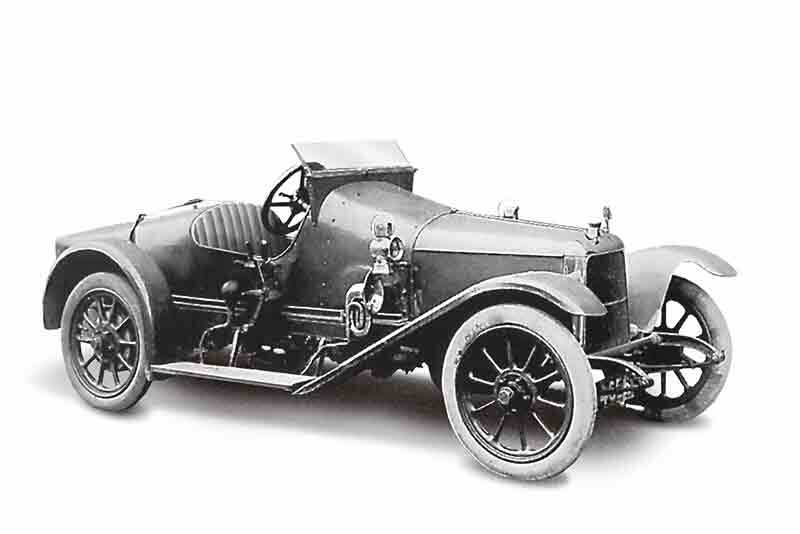 Based around a 1908 Isotta-Fraschini chassis and powered by a four-cylinder Coventry-Simplex engine, Coal Scuttle sowed the seeds of future greatness, powering up the hill in the fastest time to secure Martin victory. However, whatever dreams the men had to manufacture their own sports car had to wait until after the Great War, when three more prototype cars were built. Bunny (no longer in existence) and chassis number A3 which was the third Aston Martin built and the oldest of their cars still in existence. A3 is now owned by the Aston Martin Heritage Trust and is proudly displayed in their museum. 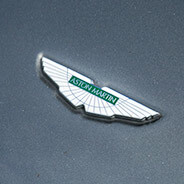 Over the last 100 years the famous winged Aston Martin emblem has evolved considerably. With 10 different versions of the iconic Aston Martin badge. The original, which appeared in 1921, was just a fusion of the letters of ‘A’ and ‘M’ encircled. The wings badge has its origins in ancient Egypt, derived from the open wings of a scarab beetle. The wings appeared in 1927 with the badge steadily evolving until 1947 when, the company now owned by David Brown, his name appeared above the words ‘Aston Martin’ on the winged badge and would stay there until 1970 when ownership of the company moved on. The current wing badge was introduced in 2003. Picking Aston Martin’s most important car is always going to be devisive. 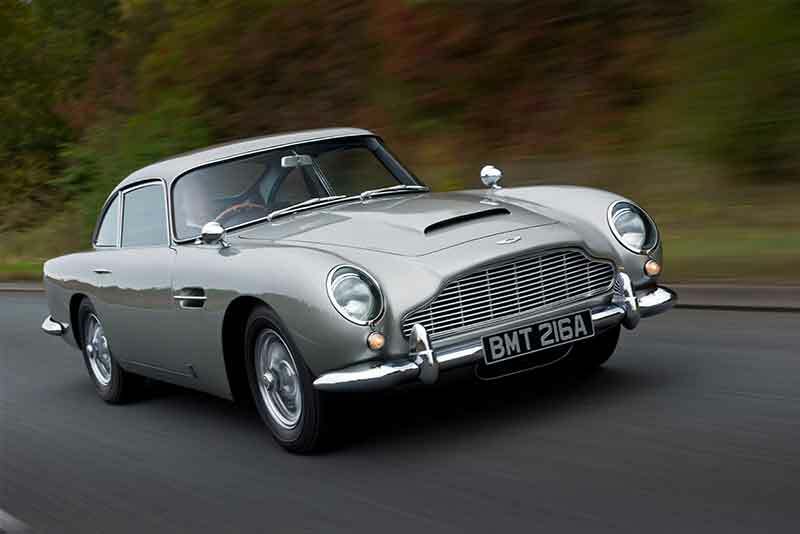 If we were picking their most famous car then it would undoubtedly be the DB5. Starring alongside Sean Connery in Goldfinger in 1964 and once described as ‘the most famous car in the world’, it forever linked the super spy with the British marque to the point where, half a century later, it’s somehow indecent for Bond to drive anything else. 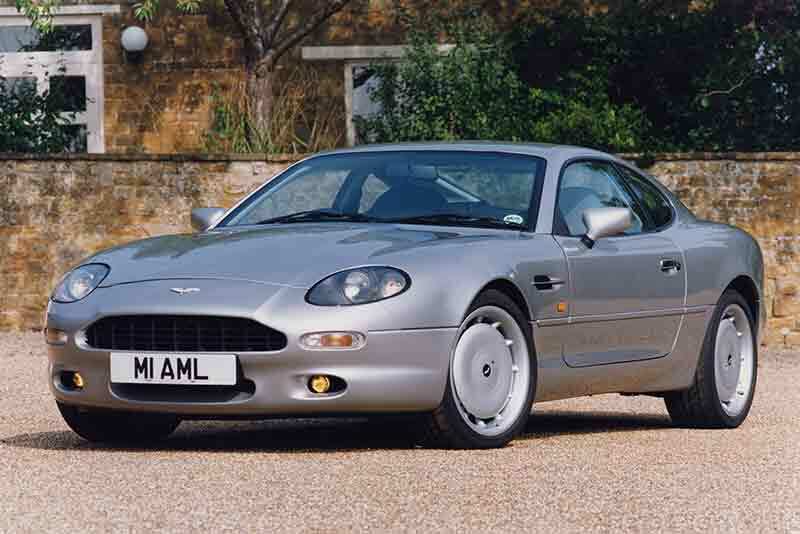 But, after much debate, Carphile argues the DB7 is Aston Martin’s most important car. Throughout their first 80 years, the Marque survived on a great deal of talent, passion and dedication but often not a lot of profit. The DB7 changed all that, the success of the car led to investment in a new factory and the modern platform that the four models are built around today. Traditionalists may not like it but without the DB7, there may not be an Aston Martin today and although Aston Martin cars are built in greater numbers than in the past, the company remains a long way from all-out mass-production. Each car still essentially hand-built, taking craftsmen with decades of experience, approximately 200 hours to complete. While it’s estimated that over 90% of Aston Martin cars ever produced are still on the road, the ‘Works’ facility was established to preserve and maintain Classic Aston Martin cars. Based in Newport Pagnall and still using traditional production techniques, Works’ highly-skilled workforce can repair, restore and service all Aston Martins from post-war right up to the present day. The Aston Martin Owners Club (AMOC) was first established in 1935, and now represents over 5,000 Members from over 40 countries around the world. Catering for Aston Martin Owners and fans. Aston Martin’s headquarters are based in Gaydon, Warwickshire, United Kingdom. They currently manufacture the Vantage, Rapide S, DB9 and Virage sports cars.